Work experience, skills development, and applied learning opportunities are most effective when combined with reflection, the articulation of skills and experience and wider Personal Development Planning (PDP). This is because students do not necessarily understand what it is valuable about their experiences. Students need support in recognising what is valuable about their experiences, help in reflecting upon them, and chances to practice articulating what they have gained from them. This in turn leads them to work out what else they need to do within and beyond the curriculum to enhance their employability. Academic staff can therefore help by making employability learning explicit, and by providing space, tools and support in the curriculum for reflection and PDP. 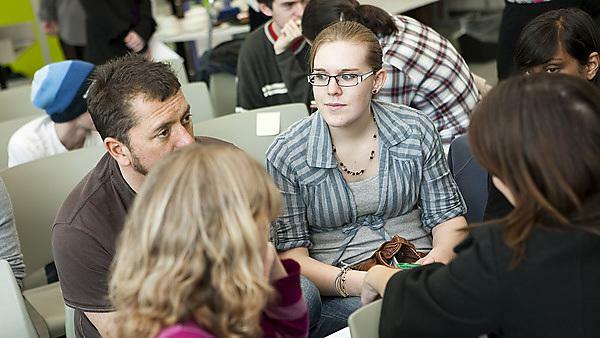 The Plymouth Compass can be used to support undergraduate and postgraduate students to reflect and articulate their graduate skills and attribute development. The university e-portfolio Pebblepad can also be used to assist with this. Through discussions and tasks (such as a mock job applications), Personal Tutors can facilitate their tutee’s ability to understand their own experiences, qualities, and aspirations. They can encourage tutees to tailor their plans to meet their own needs, and to be pro-active in taking up extra-curricular opportunities (e.g. Plymouth Extra, Plymouth Connect). In this way students can demonstrate how they stand out from the crowd when seeking employment, by providing more details about their additional learning and achievement through their Higher Education Achievement Record (HEAR) and the Plymouth Award. Dr Stacey DeAmicis, Lecturer in Marine Ecology, talks about why Personal Development Planning (PDP) is important, how she supports students in their PDP and the benefits of a PDP. Historians Reflect Toolkit A toolkit resource on history (but with generic relevance) on work placement reflection and reflective writing. It includes information on reflective skills, advice on how to reflect, frameworks for reflection, examples of reflective assignments, and podcast reflections by students. Student Stories - Staff resources. Under the ‘Careers’ tab there are numerous teaching materials, articles, links and resources that aid career reflection and planning.